Summoned to investigate the mysterious deaths of five guards standing watch over the great tomb of Kheops, a young novice judge finds himself embroiled in a hotbed of greed and corruption. 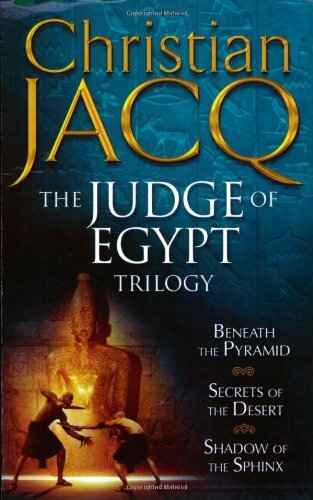 Born in Paris in 1947, Christian Jacq is one of the world's leading Egyptologists. He is the author of many novels on Ancient Egypt, including the bestselling RAMSES series and THE MYSTERIES OF OSIRIS series. His novels have sold more than 27 million copies worldwide and have been translated into 30 languages. Christian Jacq lives in Switzerland.